Boeing has awarded Hughes Network Systems a contract to develop satellite communications subsystems to support a U.S. Air Force ground system designed to facilitate and secure connectivity for military personnel. Hughes said Wednesday it will help design and create system control, networking, ground hub and mission management platforms for the first increment of the Protected Anti-Jam Tactical Satcom system for the Air Force’s Protected Tactical Enterprise Service program. The PTES effort aims to provide warfighters with a ground-based enterprise network for protected communications hosted by commercial satellites, the Wideband Global Satcom constellation and the Department of Defense’s Protected Tactical Satellites that utilize the Protected Tactical Waveform. Boeing is the program's prime contractor under a seven-year, $383M contract the Air Force awarded in November. “Hughes is developing a state-of-the-art, containerized software design for PTES data, control and management functions with scalable architecture to enable the use of advanced artificial intelligence and machine learning techniques,” said Rajeev Gopal, a vice president and PTES program manager at Hughes. 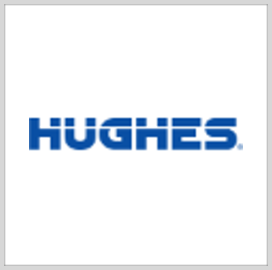 Rick Lober, VP and general manager of Hughes' defense and intelligence systems division, said the company will apply its more than 40 years of government and commercial satcom development experience to the project. Contract work began in late 2018 and will continue though 2025.